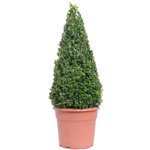 Buxus Sempervirens Egyptian Pyramids are very striking topiary plants that are grown from the classic Buxus Box Hedge. 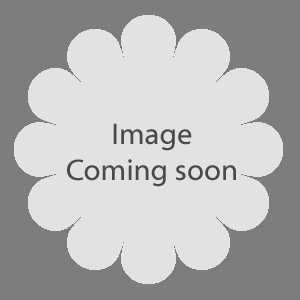 It is an evergreen shrub with small dark green leaves. 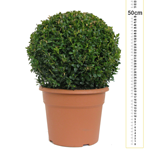 These items are perfect to enhance any formal gardens driveways entrance halls and patios. 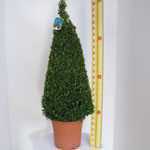 Size: 1.20mtr height including the pot plant height 80cm.